risk. 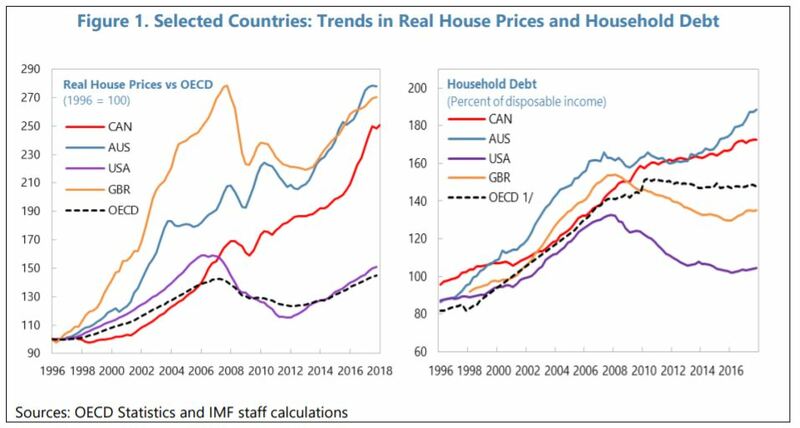 Rapidly-rising house prices are usually coupled with rising household indebtedness (figure 1). High household debt raises the vulnerability of financial institutions to sharp corrections in house prices, and the interconnectedness of financial institutions make this risk systemic, not merely idiosyncratic. As such, agencies in charge of macroprudential policy/systemic risk oversight typically use macroprudential measures aimed at mitigating these risks to contain the build-up of vulnerabilities over time and enhance the resilience of the financial sector. metropolitan regions. 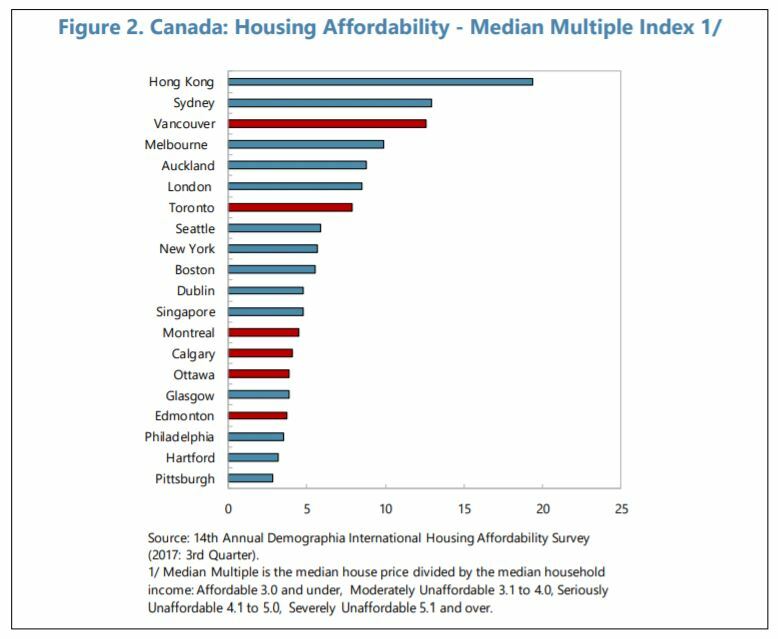 Although Canada’s overall affordability indices are not yet among the worst globally, the Toronto and Vancouver regions are becoming severely unaffordable (figure 2). This raises important social and economic concerns. stability. Initially, the measures were aimed at the high LTV ratio, government-backed insured mortgage market, helping to reduce the government’s exposure to the housing sector. In early 2018, the Office of the Superintendent of Financial Institutions (OSFI) tightened underwriting requirements for low-ratio mortgages to stem rising risk in the uninsured mortgage market. Low ratio mortgages are now subject to: (i) a stress test for mortgage interest rates; (ii) Loan-to-Value (LTV) measures and limits that reflect housing market risks, to be updated as housing markets and the economic environment evolve; and (iii) restrictions on combining mortgages with other lending products (e.g. co-lending arrangements) that could circumvent LTV limits (…). The governments of British Columbia and Ontario have also recently deployed property-tax measures to stem speculative activity and improve housing affordability in their major cities. A 15 percent nonresident property-transfer tax was introduced for the Toronto and Vancouver areas between 2016–17. More recently, the British Columbia government increased the property-transfer tax on nonresident homebuyers to 20 percent and expanded its geographic coverage.